Ah, the 4th of July – time for baseball, fireworks, and barbecue. How do they celebrate in Seoul, you may ask? Well they don’t – it’s an American holiday, what a silly question. However, barbecuing is not an American original, no sir. Asian countries have been doing their version of barbecue/grilling for centuries, and a couple of months ago, I got an in-depth look at Korean barbecue during a class at A Different Drummer’s Kitchen in Albany, led by locally famous chef Jaime Ortiz. 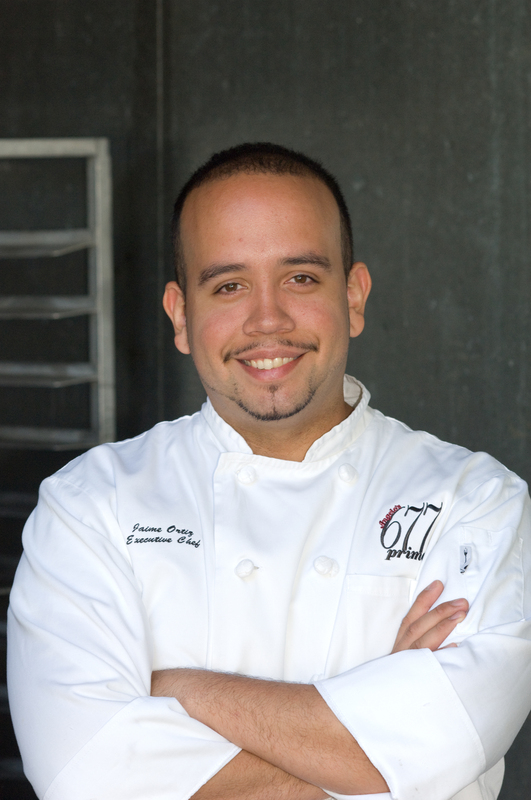 Chef Ortiz is the Corporate Chef for the Mazzone Management Company, which owns some the most acclaimed restaurants in NY’s Capital Region. To be able to have an intimate cooking demonstration and conversation with him was a foodie’s dream come true. He first addressed the issue that was on most of our minds – since none of his restaurants feature Korean food, why was he teaching the class? It turns out he has had extensive training in many cultures’ food, including that of Korea; and that was enough explanation for us. He made 5 main dishes and two side dishes that evening, explaining the history and use of the individual ingredients and their significance in Korean cuisine. He had many dishes prepared in advance, but made one of each of the dishes from scratch so we could see the process. He knocked our culinary socks off right off the bat with his Korean pork belly sliders. Yeah, pork belly sliders. Not a bad start, eh? Pork belly strips were marinated in very typical Korean ingredients – soy sauce, sugar, garlic, sesame oil, mirin (rice wine), onions, and gochujang, a medium-spicy chili paste (we sampled some on its own – the next day I went to an Asian market and bought some. It was so tasty!). The pork belly strips were then grilled until tender, put on to soft slider buns, and topped with a scallion salsa made with soy sauce, sugar, sesame oil, rice wine vinegar, sesame seeds, mirin, and gochugaru, the chili powder found in the gochujang. Needless to say, it was delicious. The pork belly was sweet with a little heat, the marinade created a nice glaze on the meat, and the scallion salsa added some tangy freshness to the dish. Since pork belly was on our palettes, Chef Ortiz honored us with another pork belly dish – samgyeopsal gui. 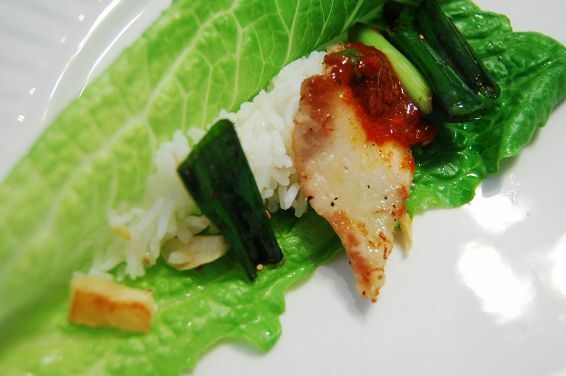 This is a very simple dish – you grill the pork belly until done (no marinade or seasoning), then slice it and wrap it in lettuce with chopped vegetables, rice, chili sauce, and kimchee (more on that later). As was explained to us, Koreans typically eat this in one bite – one mouthful of pork belly, lettuce, veggies, and accompaniments. Again, it was very tasty – the tender pork absorbed all the flavors of the kim chee and the chili sauce, with the veggies adding great texture and freshness. Up next was galbi, which are basically barbecued short ribs. Oh yeah, this class was not for vegetarians, if you hadn’t guessed. 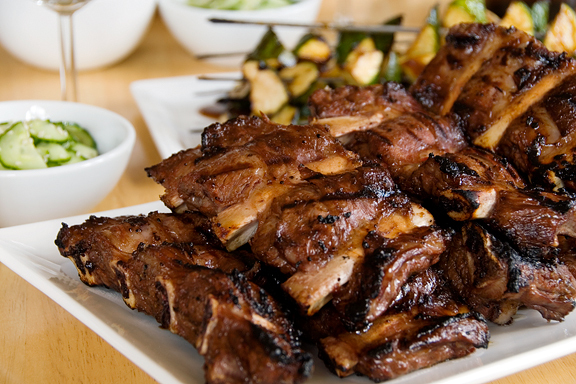 The short ribs were cut into ½-inch thick slabs across the bone and marinated in soy sauce, water, vinegar, brown and white sugar, pepper, sesame oil, garlic, and onions. Then they were simply grilled until done, about medium-well. They were fall-off-the-bone tender, and bursting with flavor. But we weren’t done yet. Beef bulgogi was next, which was the one meat dish I was familiar with (as posted here). Chef Ortiz’ recipe was slightly different from the one we used, but all in all in came out just about the same. I’ll spare you the details here because it’s pretty much the same as in that post. The heart and soul of Korean food is kimchee. It dates back hundreds of years and no Korean meal is complete without it, even breakfast. There are several variations, but the main thrust of the dish is cabbage that is jarred along with water, salt, garlic, ginger, fish sauce, chili paste or powder, scallions, and sugar or honey. Sometimes daikon radish is used along with or in place of the cabbage; bok choy is another vegetable that can be used. The jar is then traditionally placed in a hole in the ground for several days – of course modern times allow for just storing the jar in a cool, dry place. The idea is to let the ingredients ferment – when it starts to bubble, it’s time to refrigerate it until chilled. The result is a spicy pickled cabbage dish that I believe to be one of the world’s perfect foods, when it’s made correctly. It can be an acquired taste – it’s not like a jar of spicy pickles from the deli. The fermentation gives it a unique taste that is terrific eaten on its own, or as a condiment for the dishes I’ve described above. Chef Ortiz demonstrated the whole process to us and then presented some kimchee he had made a few days prior, and it was delicious…and healthy! Finally we were shown a side dish and a condiment. Pajori is a green onion salad made from scallions tossed with soy sauce, hot pepper flakes, sugar, sesame seeds, and sesame oil. I had never seen a dish that featured scallions so prominently, and it was great. The scallions had a good crunch to them but were softened by the dressing, which was full of flavor. 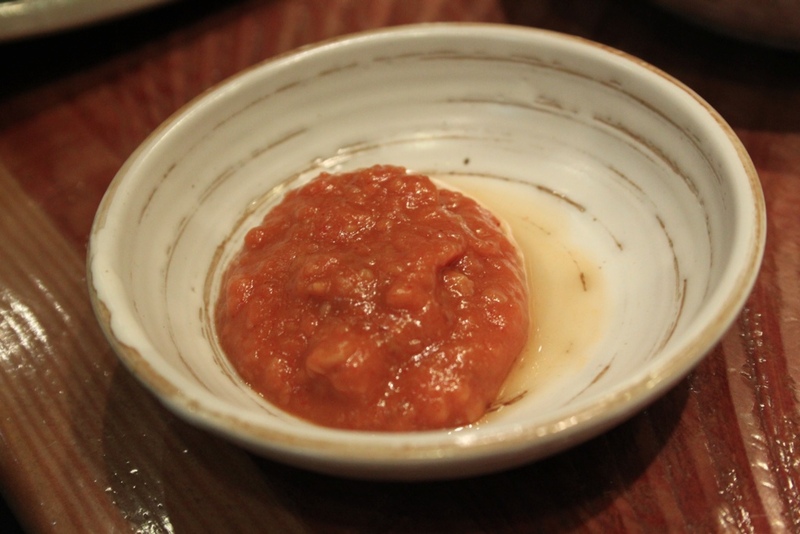 The condiment, which went with everything else from the class, was called samjang, a soybean paste dipping sauce. 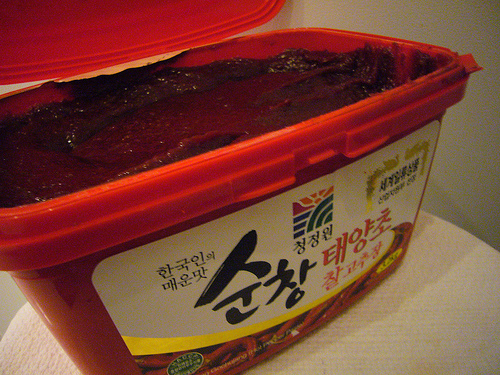 Gochujang was mixed with soybean paste, scallions, garlic, and sesame seeds, creating a sweet and spicy topping for anything. I couldn’t get enough of it – I think the staff was getting annoyed at me asking for more all class long. After the class I spent a little time talking with Chef Ortiz about Korean food, food around the region, his restaurants, etc. He was a very down-to-earth, nice guy, and capped off a fun and tasty evening. So if you’ve been reluctant to try Korean food, maybe because you just haven’t been exposed to it and don’t know what it’s all about, I hope you found this post informative and hopefully appetite-stimulating. Enjoy. Korean seems to be the East Asian cuisine that Americans know the least about; it’s certainly far less well-known than Chinese, Japanese, Thai, or even Vietnamese. But hopefully with our help, that will change. 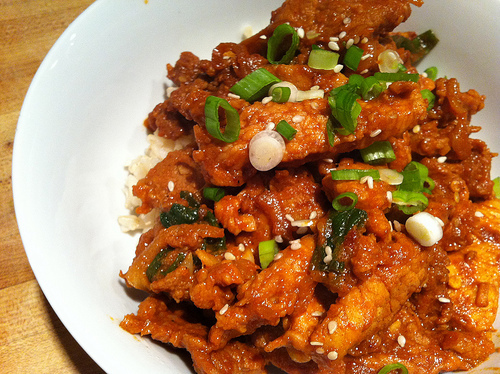 Korean food is full of flavor, spice, and has a certain comfort food factor to it that is hard to describe. But maybe if you make this recipe you’ll see what I mean. The word bulgogi literally means “fire meat.” That should be all you need to know – ok, not quite all. It’s a very traditional dish – thin slices of marinated beef are quickly grilled, then served with rice and various condiments and sauces and, sometimes, wrapped up in lettuce leaves. This recipe calls for rib eye steak, but you can certainly use a more affordable cut like top sirloin. Freezing the steak about an hour prior will help you slice it nice and thin. It’s not spicy on its own, but generous doses of hot chili sauce will only enhance the dish. 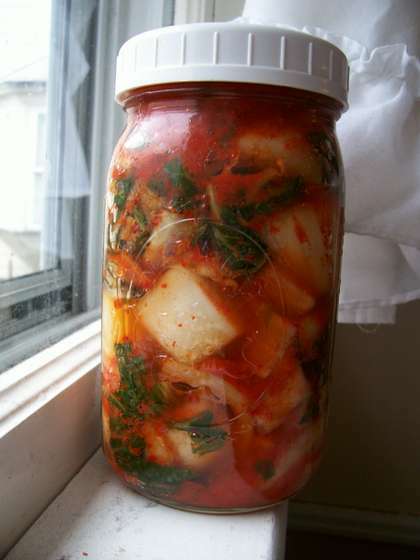 And you really should eat this with kimchee, the fermented cabbage dish that is the heart and soul of Korean food. 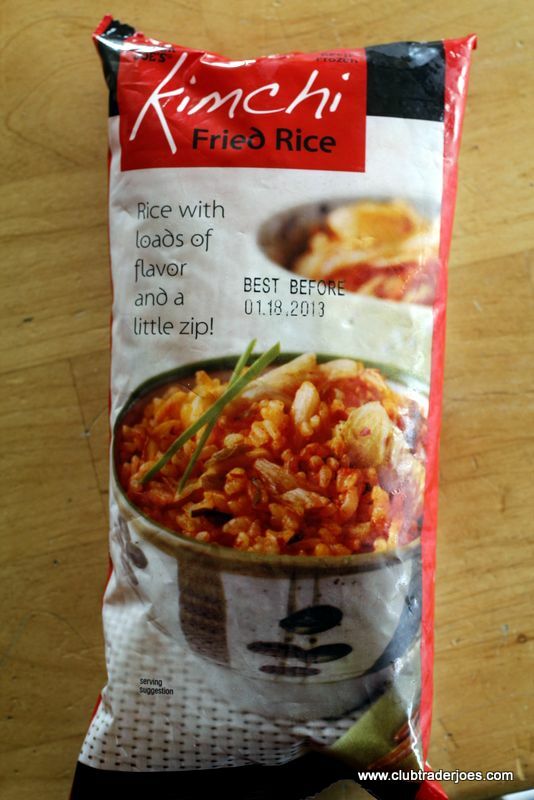 Many supermarkets and certainly Asian markets offer kimchee these days. Enjoy! Place the steak in the freezer for 1 hour. Meanwhile, prepare the marinade. In a blender or food processor, combine pear, garlic, soy sauce, wine, sesame oil, honey, sugar, and pepper and blend into a coarse mixture. Place mixture in a resealable plastic bag. Add toasted sesame seeds and onion and massage bag gently to combine the ingredients. Slice the partially frozen steak across the grain into very thin slices. If steaks are large, it may be easier to cut them in half with the grain, then slice thinly against the grain. Add slices to the marinade in the plastic bag, and massage the bag to distribute the marinade evenly over the meat. Refrigerate for at least 4 hours and up to 24 hours. When ready to cook, adjust oven rack so that it is 4 inches from the heating element. Preheat the broiler to high (about 550 degrees). Line a baking sheet with foil. Spread the meat, onions, and marinade in a single layer on the baking sheet. Broil 5 minutes, then turn the meat and broil second side about 3 minutes. The meat should be cooked through and slightly caramelized in spots. While meat cooks, wash lettuce leaves and pat dry. 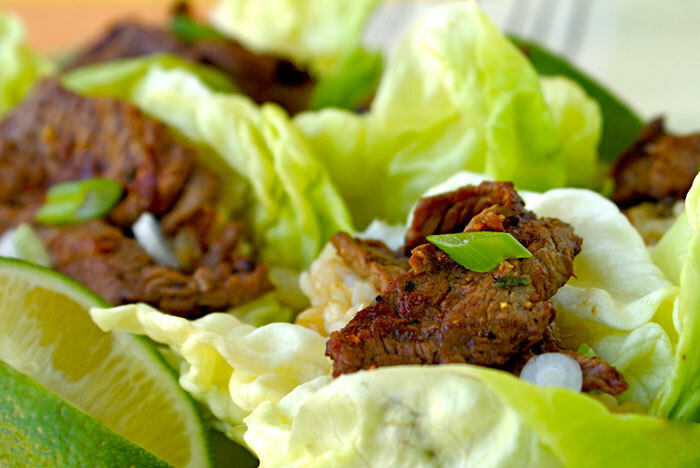 To serve, divide beef among the lettuce leaves, sprinkle with scallions, then roll up the meat in the lettuce leaves. Eat!